What do you normally have for breakfast? As I spent my childhood in China and adulthood in Australia, my breakfasts are often a mix of east and west. Wontons, congee and a hot cup of soy milk are an integral part of our lifestyle, but I also crave for the occasional poached eggs on toast with a cup of aromatic coffee. If you’ve been reading my posts for a while, you’d know I love my brunch and coffee. 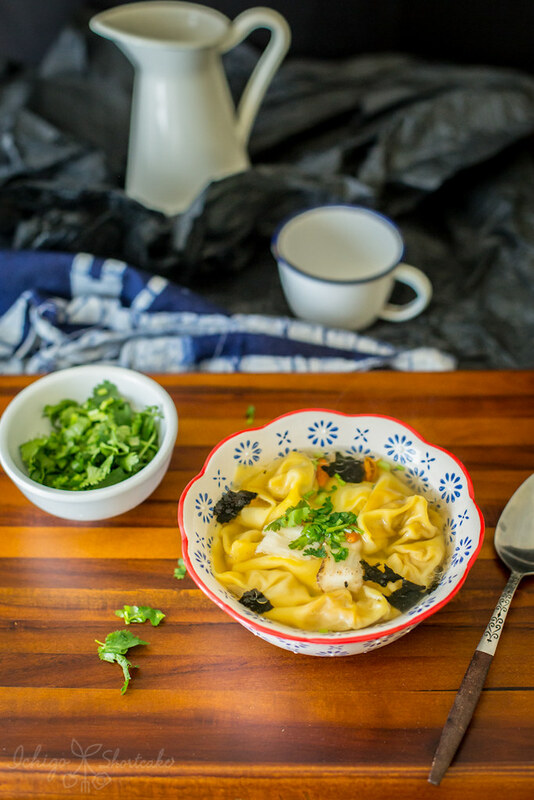 Wontons are a popular dish in eastern China，especially Shanghai and surrounds, and you can make them into the large versions which you can only have a few of, or the mini versions with not much filling and that way you won’t feel too bloated. 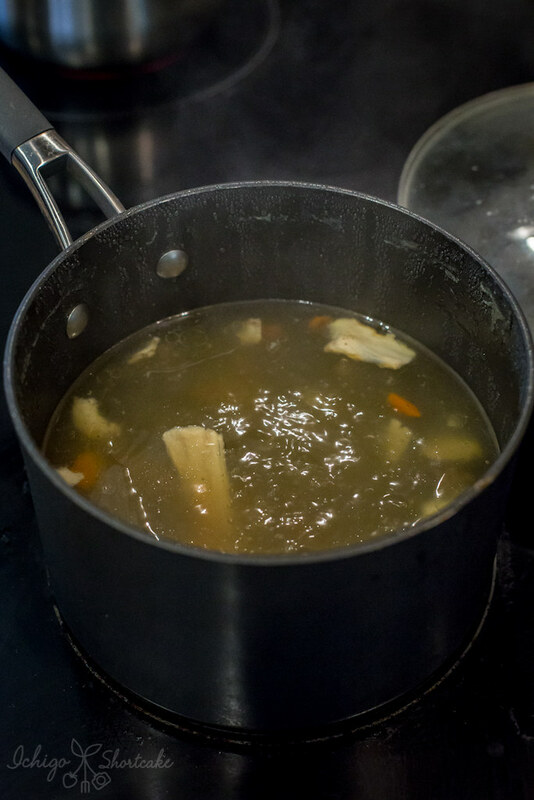 The hot soup is great for the cold weather that we’re getting at the moment too. They are very easy to make and taste great. you can fill them with either pork or prawn mince or even chicken if you wanted to or adapt it as a vegetarian dish, it’s quite versatile in that sense. In this version, we have put dang gui (当归) into the soup base. It’s also known as Chinese angelica or “female ginseng”, a root plant native to China that is often used as Chinese medicine that is apparently good for women’s health, however if you’re trying to conceive or are pregnant, do not use this ingredient! This adds a mild medicinal or herbal flavour to the soup which we like but is in no way necessary for this recipe. If you do wish to use it however, it’s probably available from your local Asian grocery store. We have also used goji berries in the soup base which is a superfood that many of you are probably more familiar with. It is actually used quite often in Chinese cooking and is something that many Chinese kitchens will have as a staple. Hopefully you’ll like this recipe as much as I enjoy eating them. 2. 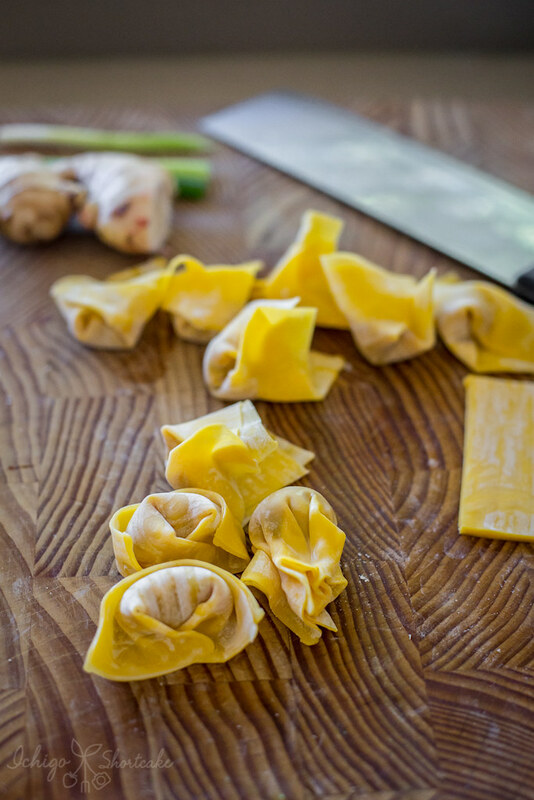 Put a small blob of mince into the centre of a wonton wrapper and using a bit of water (not too much), wet the wrapper around the mince on the inside and then squash the bottom of the wrapper together. 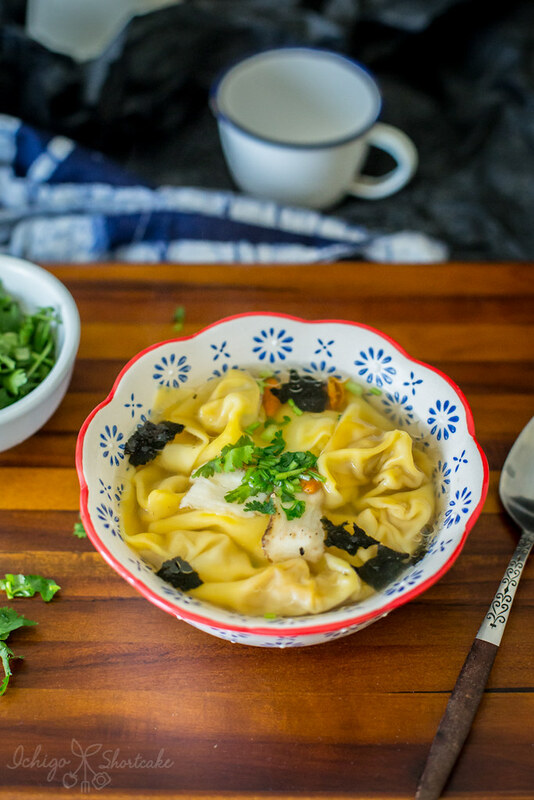 You can make the wontons in many different ways but this is probably the easiest. Don’t overfill the wrappers since they can break easily. 3. Soak the dried shrimp in warm water until puffy. Drain and chop up if they’re too large. 4. Boil water in a medium sized pot along with the goji berries and dang gui (if you’re using it). Put in the wontons and cook for a few minutes or until the wontons float on the surface. 6. 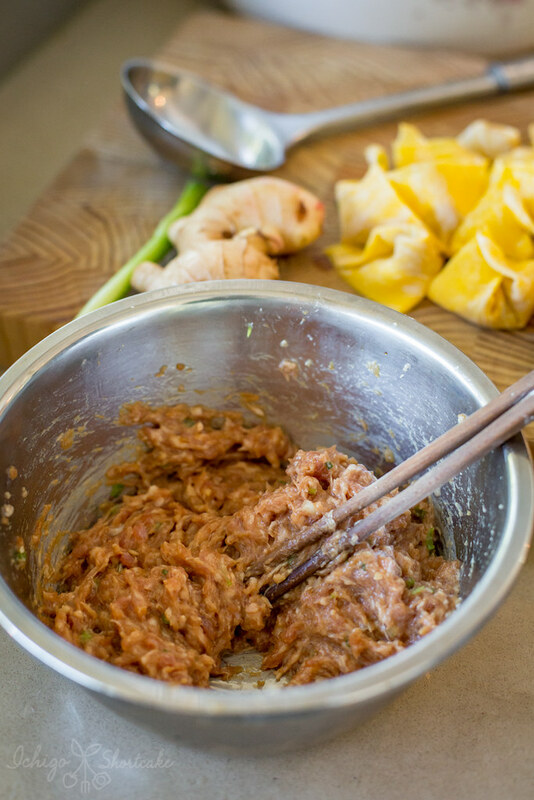 Split the wontons into each bowl, top with chopped coriander and a dash of sesame oil, serve hot. *The saltiness depends on personal taste. What mum used to do is make one small bite of the mince and cook it through (pan, water, microwave are all ok) to taste test how salty it is then add more salt to the mince if you need to. **The amount of condiments you add to the soup depends on personal preference. Some like their soup quite plain and some like it with a lot of flavour so adjust to your liking. If the soup’s not salty enough, you can either add salt or more soy sauce. For a different flavour, you can even add in a bit of smooth peanut butter. – You can swap part of the pork mince with prawn mince, add in a vegetable like chopped bok choy or swap the pork mince for a different type of mince if pork isn’t your thing. Question time: So what do all of you like to eat for breakfast? That looks delicious! Hot and yummy, perfect on a winter’s day. Looks amazing. We have our bacon and eggs and pancakes all the time but I love to make the Chinese breakfast foods I had growing up once in a while for my family…congee, noodles, spam, you name it. My son would love your mini wontons.